LOS ANGELES, USA, August 16, 2018 /EINPresswire.com/ — The head of the Los Angeles World Airports Police Department engaged in systemic racism against African American lieutenants, commanding officers and sergeants since he took over the agency less than two years ago, says a wrongful termination lawsuit filed today. At least 11 high-ranking African American officers have been fired, demoted, or subjected to some other adverse employment action since Chief David L. Maggard joined the department in 2016, according to the lawsuit, filed Thursday in Los Angeles Superior Court. In the lawsuit, Lt. Marlo Richardson says that a letter falsely accusing her, a Sergeant, and a Captain of favoritism was used as a pretext for her wrongful termination in February. She alone was singled out for discipline and termination, according to the lawsuit. Richardson claims that, under Maggard’s leadership, she was subjected to racial and gender discrimination, intentional infliction of emotional distress, sexual harassment and a hostile work environment. Richardson was an 18-year veteran of LAWAPD, who performed her job duties in an exemplary manner under seven previous chiefs. As a result of her performance, she was promoted in 2001 to Field Training Officer; in 2004 to Sergeant; in 2011 to Sergeant II; and in 2014 to Lieutenant, where she also was selected to work special assignments. 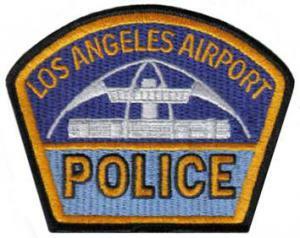 The LAWAPD’s 450 sworn officers are assigned to LAX and Van Nuys airports. The letter arrived in response to disciplinary action taken against one of Richardson’s officers. The officer earlier had requested temporary assignment to light duty. Richardson followed department policy and forwarded the officer’s request to the Human Resources department, which makes those decisions. H.R. approved the officer’s request. But it later was learned that H.R. had approved the officer’s request without adhering to department policy requiring the officer to provide a doctor’s note or medical certification. All decisions to grant or deny light duty lay entirely with the human resources department, and Richardson only forwarded the request to H.R. in the manner required by department policy, the lawsuit says. Richardson’s firing — purportedly connected to her handling of the light duty request — “was based on a discriminatory mind-set as is evidenced by the campaign of discrimination against numerous black sworn personnel of the LAWAPD,” the lawsuit states. Defendants named in the lawsuit include Maggard, as an individual, as well as in his capacity as chief of LAWAPD, and the City of Los Angeles. The lawsuit was filed by Los Angeles civil rights attorney V. James DeSimone. DeSimone has dedicated his practice to providing vigorous and ethical representation to achieve justice for those whose civil and constitutional rights are violated. Jeremy Lessem and Jamal Tooson, of Lessem, Newstat & Tooson LLP, of Los Angeles, are co-counsels who focus on civil litigation and criminal defense. DeSimone is available for interviews.